ReverseVision, the leading provider of technology and training for the Home Equity Conversion Mortgage (HECM) industry, today announced that Norwich Commercial Group, Inc. dba Norcom Mortgage (Norcom) has selected ReverseVision as its provider of choice for end-to-end HECM technology. 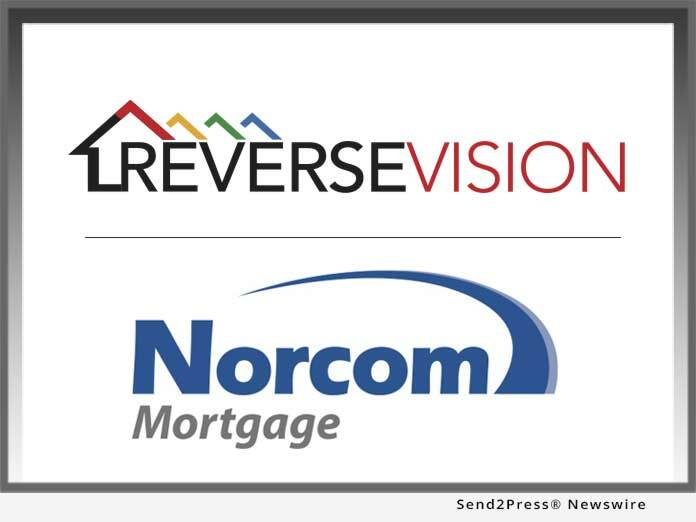 SAN DIEGO, Calif. /Mortgage and Finance News/ — ReverseVision, the leading provider of technology and training for the Home Equity Conversion Mortgage (HECM) industry, today announced that Norwich Commercial Group, Inc. dba Norcom Mortgage (Norcom) has selected ReverseVision as its provider of choice for end-to-end HECM technology. In addition to ReverseVision’s flagship RV Exchange (RVX) loan origination software (LOS), Norcom has deployed RV Database (RVDB), an add-on that enables lenders to create a local “data warehouse” of pertinent reverse mortgage data, and RV Sales Accelerator (RVSA), a web-based tool that helps loan officers drive HECM loan volume. Norcom has also leveraged ReverseVision’s integrations with Velocify’s customer relationship management (CRM) tools and Ellie Mae’s Encompass(R) LOS to streamline lead management and loan fulfillment. Founded in 1989, Norcom is a generational lender that has grown rapidly since evolving from a mortgage broker to a mortgage lender in 2005. Working to be licensed in all 50 states, Norcom is currently licensed in 40 U.S. states plus the District of Columbia and Guam. Its team of more than 130 loan officers and 102 third-party originator (TPO) partners offers a 360-degree variety of conventional and specialized loan products, including HECMs and other equity-release programs. ReverseVision is the leading provider of technology and training for Home Equity Conversion Mortgage (HECM) origination. With nearly 10,000 active users, ReverseVision technology is used by 10 of the top-ten reverse mortgage lenders and supports more HECM transactions than all other systems combined. The company’s comprehensive product suite also includes HECM sales and education tools and a dedicated professional services team. ReverseVision partners with some of the finest and fastest-growing banks, credit unions and lending organizations in the United States to provide its HECM technology to brokers, correspondents, lenders and investors. Founded in Avon, Connecticut, in 1989, Norcom is a fast-growing generational lender serving families throughout the United States. The Norcom family offers customers a wide range of mortgage programs that fit their needs and superior customer service while placing an emphasis on speed, flexibility and low rates. The company gives back to the communities it serves through its outreach division, Norcom Cares. For more information, visit https://norcommortgage.com/.